I have been loooking for a sad Camaro in need for some TLC for a while and I was pleased to get hold of a rather sad looking ref. 73343 NT. The crystal was smashed in and cracked. The dial was dirty but unharmed and did clean up nice. This is how it arrived. It did not look good. 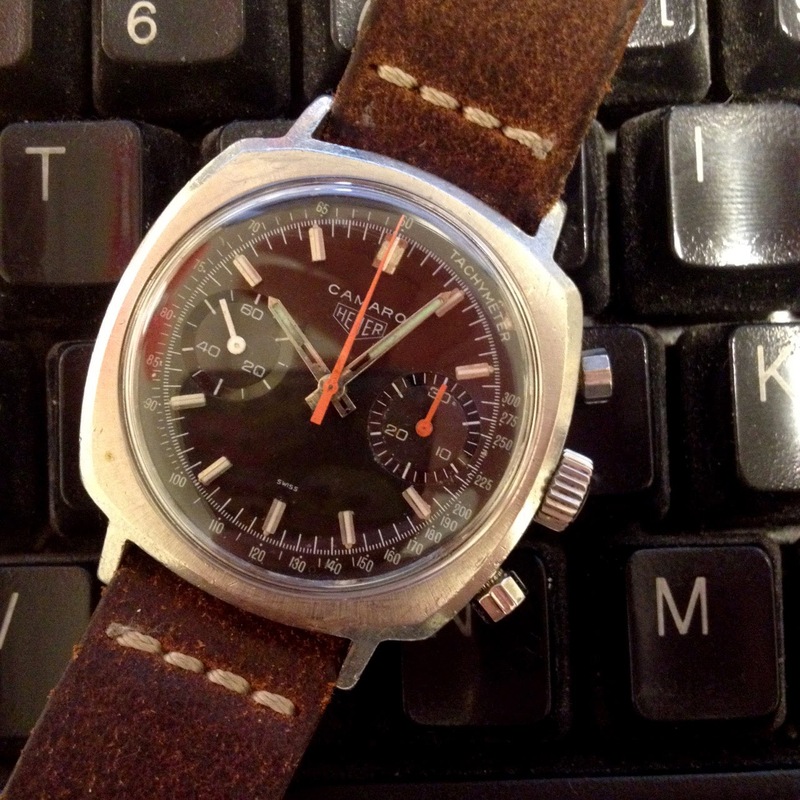 If you look behind the faults there's still a lovely little Heuer that want to shine again. Next I installed a NOS pusher, a new crystal and repainted the red minute register hand. It should be orange like the big chronograph hand. that hand is missing at the picture, but it was included in the deal. This is how it looks after a few days at my work bench. There's only one thing left, and that is reluming the minute and hour hands to a color that match the lume dots on the dial. The present relume job is way to green in color. 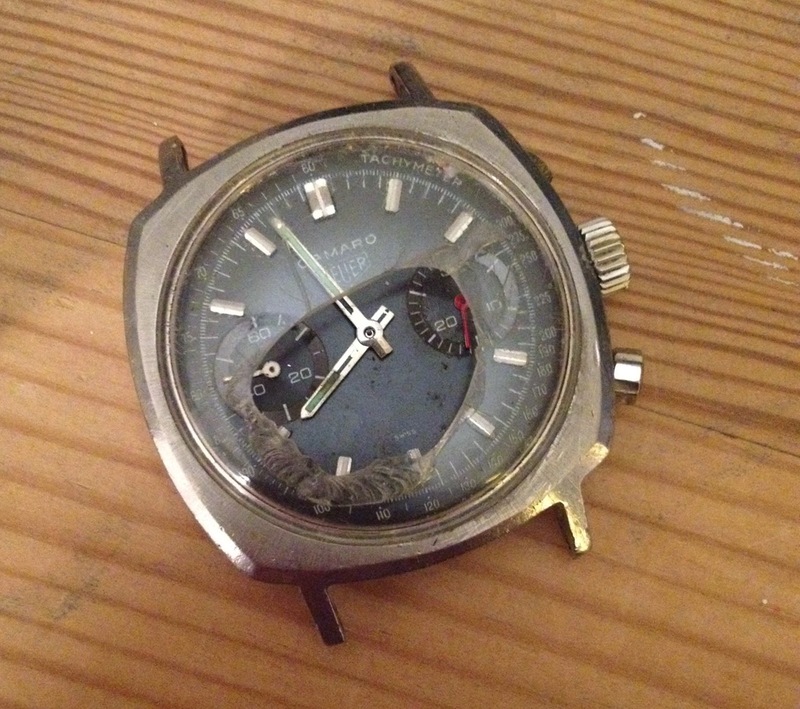 How did you clean the dial ? - it is interesting that there is a lovely even patina beneath the dirt and grime. I used a fine brush to remove all dust and bits. Then I cleaned it with a moist cotton swab. But be very careful. It is possible to damage the script on the dial. where did you find the new crystal? do you happen to know the crystal dimensions? very nice watch by the way!